While lithium ion batteries appear to be getting more and more attention in the news, lead-acid batteries are still key for powering our daily lives, and demand in the sector is still growing. A July 2015 report from Future Market Insights called for the lead-acid battery market to reach US$58.55 billion by 2020. That’s important for lead investors, as lead-acid batteries make up the vast majority of lead consumption – the lead acid battery industry accounted for 90 percent of reported lead consumption in the US in 2014, according to the United States Geological Survey. Doug Bathauer, CEO of Integral Technologies (OTCMKTS:ITKG), stated that lead acid batteries are still favourable because they are more economic, dependable and environmentally sustainable than the competition. Still, Bathauer cited a report from the Advanced Lead-Acid battery Consortium which argued that lead-acid batteries are almost entirely recyclable, and that recycled materials can be used to make new batteries more cheaply and with lower carbon emissions than with new materials. China produced the largest amount of the world’s lead in the world in 2015, with Australia coming in a distant second, followed by the United States, Peru, Mexico and Russia. The metal is mainly found with deposits of zinc, silver and copper. The outlook for the lead market is fairly positive. The International Lead and Zinc Study Group predicts that demand for refined lead will increase by 2.1 percent in 2015, hitting 11.6 million tonnes, while refined lead output will grow by 2.2 percent, reaching just 11.5 million tonnes. The organization thus anticipates a 23,000-tonne lead deficit in 2015, just slightly less than the 38,000-tonne deficit it sees coming in 2014. Analysts see lead prices averaging 11.5 percent higher in 2015 at $2,387 per tonne. When it comes to investing in lead, investors have a few options. Lead trades on the London Metal Exchange (LME), so savvy investors can set up accounts with a brokers who handle futures trading contracts in order to trade contracts for lead. Another way to gain exposure to lead is to invest in lead mining companies. 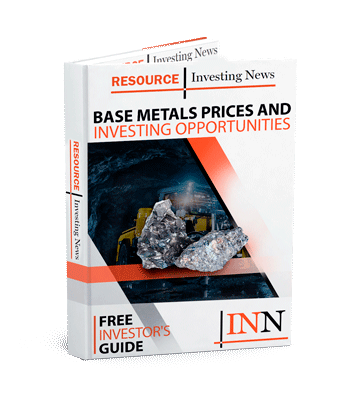 Some of the world’s larger lead producers include BHP Billiton (NYSE:BHP) and Teck Resources (TSX:TCK.B), but a number of smaller zinc and silver miners have lead on their roster as well, such as Canada’s Trevali Mining (TSX:TV). To be sure, for interested investors who take a look at the lead market and do some due diligence on products with lead included, the sector could hold plenty of opportunity.